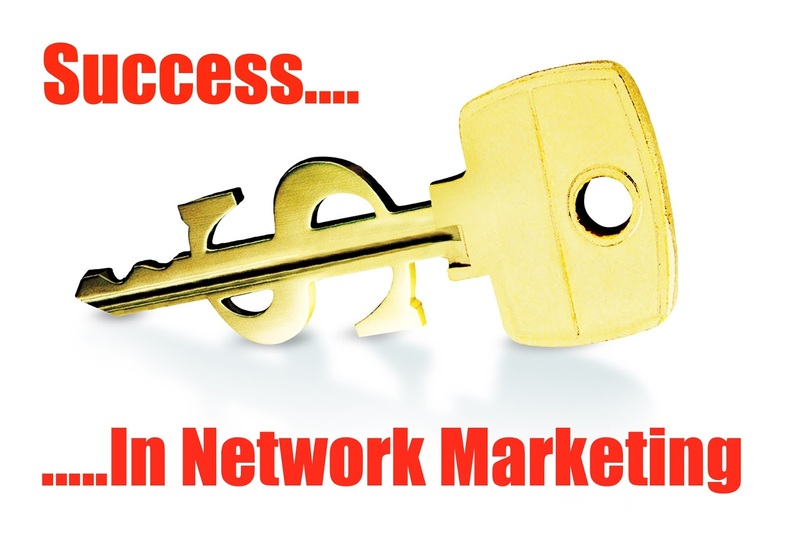 Network Marketing is an excellent way for the "average Joe or Jane" to make an extra income. This business concept has been around for decades, and it will not disappear any time soon. The reason for its popularity is simple... It Works! It does however, require lots of work and most importantly, dedication and persistance to get the job done. The best part is, once you are able to set up a solid network, your business becomes MUCH less time intensive. Almost like going on "autopilot". The key is to get there as fast as possible. 1. Use your products regularly. This is Number 1 for a reason, this is the most ignored part of ANY network marketing business. How do you expect your business to succeed if you will not even use your own products? It does seem silly to even have to bring this up, but there are many who are not using their own products, and wonder why they are not making any money. Make a commitment to use your products for a year, and see where your business goes. 2. Educate yourself constantly. This is very important! You must rid yourself of negative ideas, sometimes referred to as "stinkin thinkin". This can be done in a variety of ways. I recommend reading at least 15 minutes a day, but try to shoot for 30. Business and self-help books are a great way to start. Don't forget your Multi-level magazines, as they are full of tips and advice. Lastly, listen to cassette tapes on multi-level tips from top earners in your business. 3. Spend as much time as possible with your upline. Your upline should have only one goal in mind, To Help You Succeed! They are a vast source of knowledge and information. Mingle with top distributors in your group, or other groups, and ask how they made it. Most everyone should be more than happy to provide you with excellent tips and advice. 4. Present your products and marketing plan personally to at least one person daily. Remember above when I said you are going to have to work, well here it is. Now here is the key, the prospects to whom you present your plan, do not have to be yours personally. Show the plan for your downline, and not only will you create "security" by placing members in your downlines' downline, it will also give you a boost in your personal income! I can guarantee if you were to follow this rule for 6 months, you would create a downline with enough width and depth to create an income to sustain you and your family for life. 5. Care for your downline. An entire book can be written on this topic. Usually, it's the little things that show you really care. Try to maintain regular contact, and always praise your distributor's accomplishments. You can even offer incentives for specific achievements, such as money, travel, recognition, or other rewards, to help motivate your group. 6. Duplicate yourself by making distributors independent of you. This will help to multiply your time, thus making you and your group more effective. Always lead by example. Never stop recruiting, training and retailing. Remember the KISS formula - "Keep It Simple, Sweety" I know, I know, I changed the last word, but it maintains the meaning. This can be done my conducting simple, brief, yet dramatic presentations, and teaching your downline to do the same. 7. Create a large customer base. This is another largely ignored, yet very important, piece of your network marketing business. Many try so hard to build a huge downline, that they forget how much profit they could also make by selling their products to retail customers. Some people will just not want to become part of your downline, no matter how great a product/system you may have. This does not mean they will not be personally interested in your product. Try to make everyone your customer. Once you earn their trust, they will come to you more, and perhaps even join your downline later. Always "leave the door open", as people's needs do change. 8. Focus on your customers needs. You must give customers more than they expect, and always satisfy your customers complaints immediately. Try to listen 80% of the time, and talk only 20%. As stated above, your customers can be a huge source of future referrals and/or business. You must earn and maintain their trust. Once you have their trust, you can always ask for referrals, which leads to even more business and a larger downline. 9. Set daily, weekly, monthly, and yearly goals - and Write Them Down! You may have heard the expression, "How do you eat an elephant? One bite at a time." Breaking up a larger goal into smaller easily attainable goals, is the key to success. You cannot just jump to the end, you have to make progress everyday. Writing them down is another largely ignored, important tip to help you succeed. A goal is just a "passing thought", or "wish" until you put it in writing. That is when it becomes concrete and real. It is also a great idea to keep a business journal of your daily activities, as it will help you to become more productive and time-conscious. 10. Get Out There And Do It Now! All of the knowledge in the world is useless and unprofitable, until you put the most important ingredient of them all in place. This "secret" ingredient should come as no surprise at all, but this is the #1 reason for failure at anything in life. It is ACTION! Remember, knowledge is useless without action. Following these steps will almost give you immediate results. Thank you for reading this, and I truly hope this has provided you with valuable information to help you and your business grow and succeed.